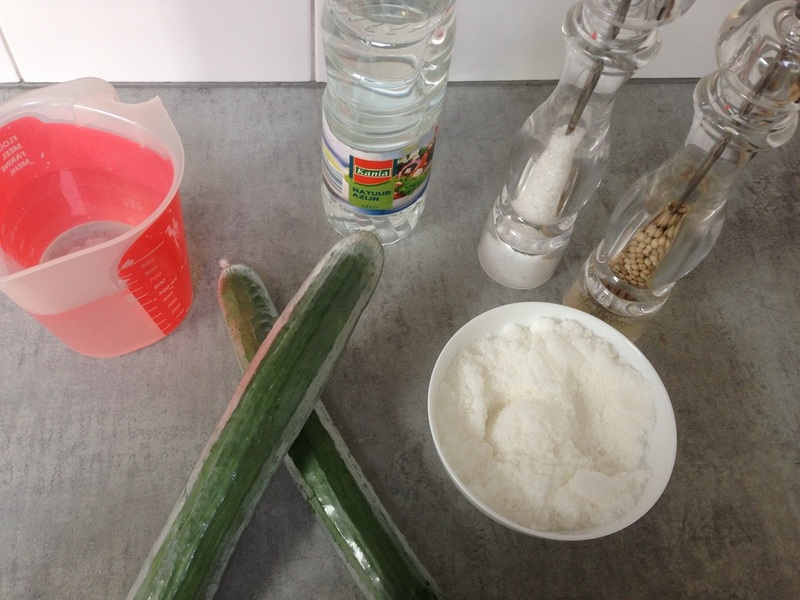 Making sweet and sour cucumber lints. This recipe couldn’t be easier! These cucumber lints serve great as a side dish and will complement the main course. 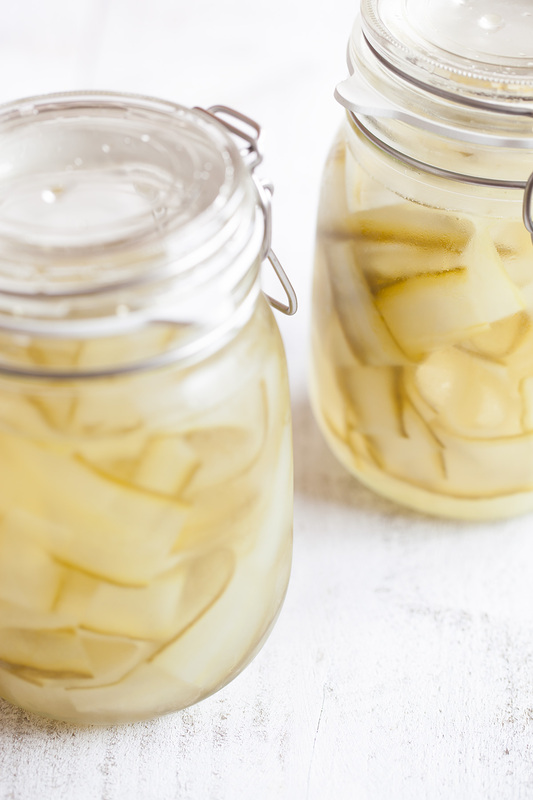 Slice the cucumber into thin lints using a mandoline or knife. You can slice them into whatever shape you like, but we prefer these long lints because they are more fun to eat this way ! Place the cucumber lints into a bowl. Repeat this step for the other cucumber. Heat the plain vinegar, add in the sugar and some pepper and salt. Let boil for about 2 minutes, or until the sugar has dissolved completely. Pour the hot vinegar mixture over the cucumber lints, this way the vinegar mixture will be soaked up more easily by the cucumber. 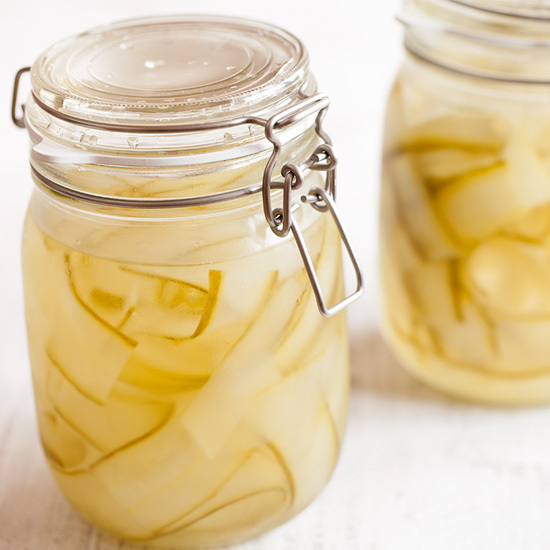 Let cool to room temperature before putting the cucumber lints into the preserving jar. 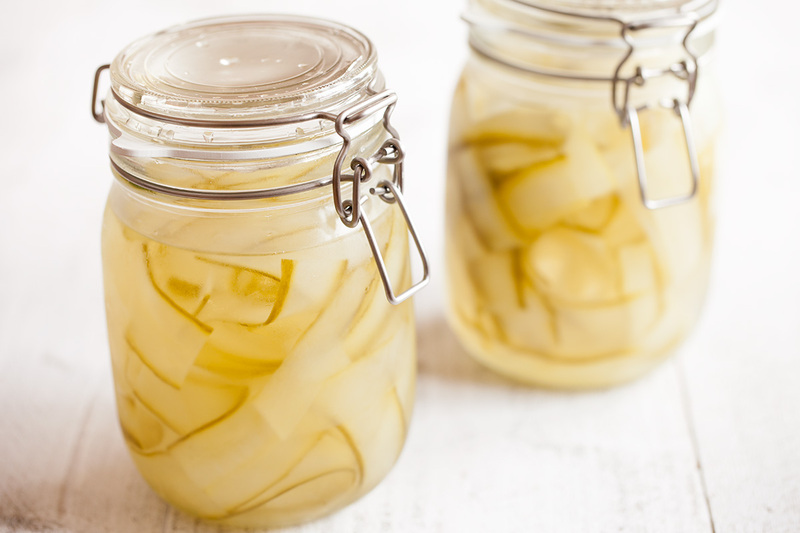 Be sure to sterilize the jar first to prevent bacteria growth. Fill with water and seal, place in the refrigerator. Serve cold.